Currently, far too few people who could benefit from AT, have access to it here in Ireland, but with increasingly accessible mainstream solutions coupled with associated dramatic falls in cost, we believe that the remedy for this gap is more achievable than ever. 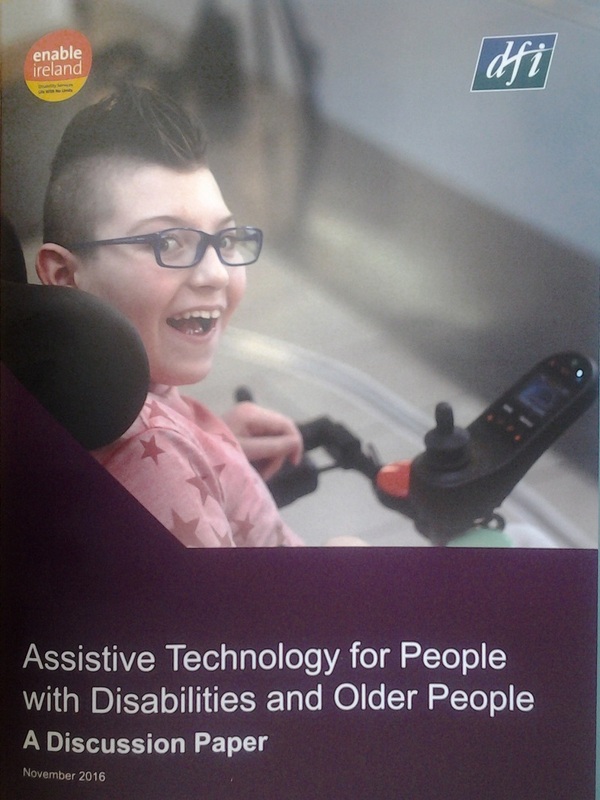 This report was published through a partnership between Enable Ireland and DFI, who share a concern regarding the under-resourcing of Assistive Technology nationally. Together, and in partnership with the CHAT community, and any other interested parties, we recognise an urgent need for advocacy and information campaigning in order to increase public awareness and understanding of the potential for AT to enhance quality of life and independence, as well as enhancing government’s awareness of their role in making AT available to those who need it. This entry was posted in Assistive Technology, Event and tagged Assistive Technology, Community Hub for Assistive Technology, Disability Federation in Ireland, Discussion Paper, Enable Ireland, launch by Sean Loughran. Bookmark the permalink.